ROBERT E. DOWHY is the son of the late Captain Joseph Dowhy Sr. of the Camden Fire department. He graduated from Camden County Vocational & Technical High School in 1970. 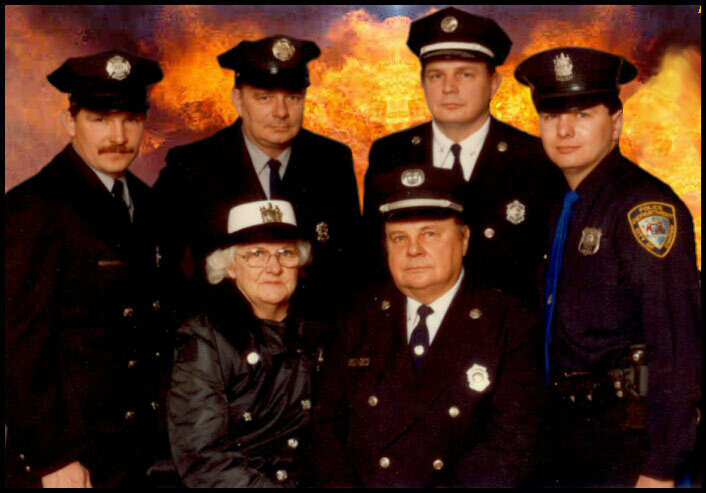 On April 5, 1982 Robert Dowhy followed his father and brothers Dennis Dowhy and Joseph Dowhy Jr. in to the Camden Fire department. Another brother, Edward Dowhy, joined the police department, retiring as a Lieutenant. The Dowhy brothers mother, Pearl Dowhy also served the public, as a crossing guard first in Camden and later in Clementon NJ. 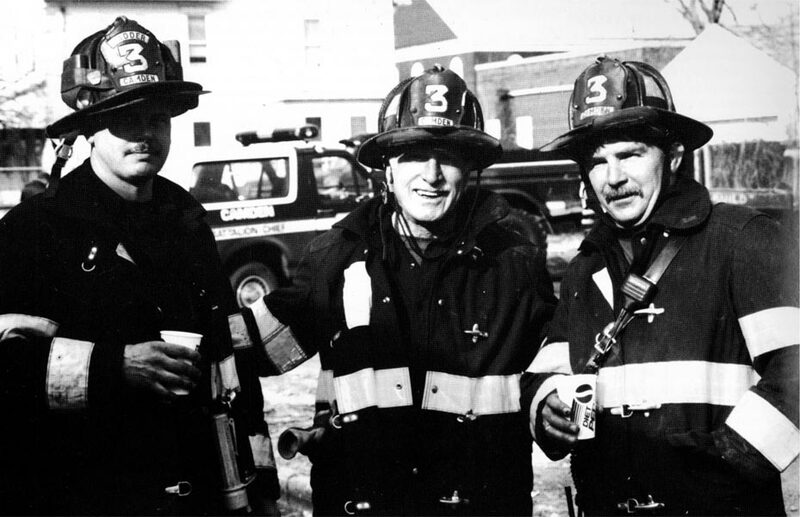 Robert Dowhy served with Ladder Company 3 at North 27th Street and Federal Street in East Camden in the 1990s. Shortly after May 24, 1996 he was promoted to Captain. 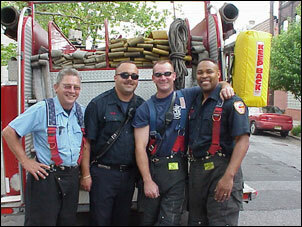 By June of 2003 he was serving as a captain with Engine Company 1. Captain Dowhy is still serving as with the Camden Fire Department as of May, 2008. 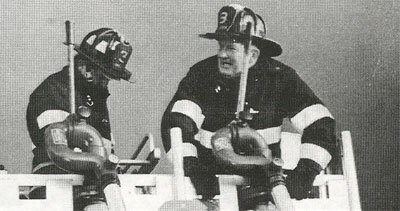 May 25, 1996, fire fighters Robert Dowhy (left) and Robert Worrell (right) are preparing to go in service with master streams from Tower Ladder #3 at a 3 alarm fire at South 24th Street. 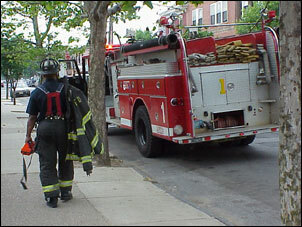 CAMDEN, N.J. -- Engine Co. One Had just finished up their morning in-service training when they were dispatched to a Child Care Center in the 300 block of Elm St in the North Camden section of the city for an investigation. 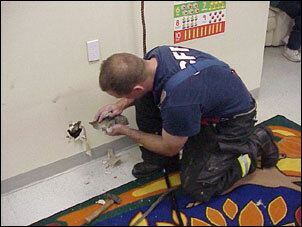 When they arrived they were told by workers that they could hear a noise coming from the inside wall in the children's play area. Captain Bob Dowhy along with Firefighters Andy Magee, FF. Elvis Hines, FF. 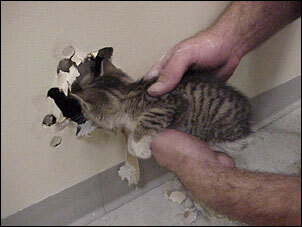 Eshu Ryan, could hear what sounded like a small kitten crying from inside the wall. 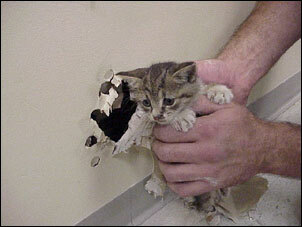 Firefighters had on other choice but to punch a small hole in the wall. 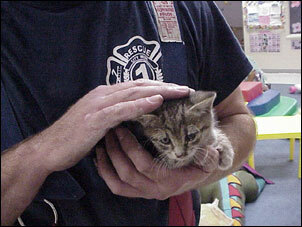 Firefighter Magee reached in and pulled out a very small crying kitten, much to the delight of all the workers looking on. The kitten looked well fed and was not injured in any way and was turned over to the Center's staff who gave it some cool milk. Engine One's members picked up their tools and went back in-service after another job well done.